“The deeds of fathers are a sign for the sons” is an ancient rabbinic saying, relating primarily to the educational responsibility of the parents to set a good example for their children. This proverb also holds a deeper meaning when it becomes one of the many guidelines for the Jewish sages in their attempt to learn important principles of God’s kingdom from biblical stories. In this context the deeds of the fathers become shadows of future events that will occur in the history of their sons, the people of Israel. Rabbinic exegesis gives special attention to the hints found in the ancient texts about the salvation of Israel, presuming that the secret of redemption is the main theme hidden between the lines and that once we put together the huge jigsaw puzzle of biblical sources in the right way we can expose this secret. In this way biblical figures emerge from the frame of their local stories and become part of the big picture of the Redeemer. For example, it is very common for our sages to draw parallel lines between the narrative of the Exodus from Egypt and that of the salvation to come and to see Moses as a pre-figure of the Messiah. Not only Moses, but also all the actors that perform on the Old Testament stage take part in the show. Abraham, Isaac, Jacob and Esau, Joseph, Samson, King David, and King Solomon, to mention just a handful of prominent figures, all become “aspects” of the Messiah. This means that not only their character, but also the events of their lives become an allegory of sorts, a shadow of things that will come to light as Messianic history unfolds. Besides the Messianic themes found in the narratives of the Hebrew Bible, a careful exegesis from a more literary perspective can also reveal many important lessons for our own lives, as we learn from both the positive and negative examples of our ancestors in the faith. 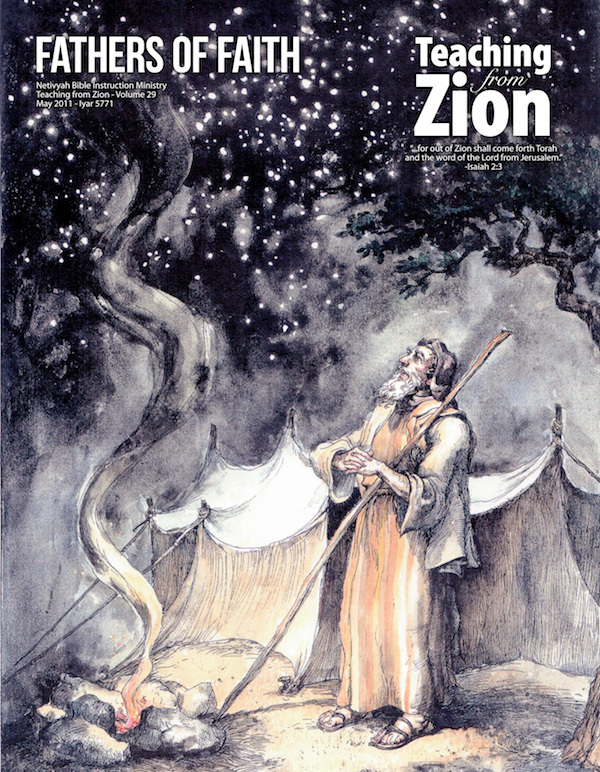 This issue of TFZ has chosen to examine some lesser-known or rarely studied aspects of certain biblical figures, in what at first glance, may seem to be an eclectic collection of characters and approaches. Yet we hope that these stories will give our readers strength and encouragement to hold fast to our faith and to strive to apply the important principles we learn from them to our own lives. May you be blessed with a summer of peace.